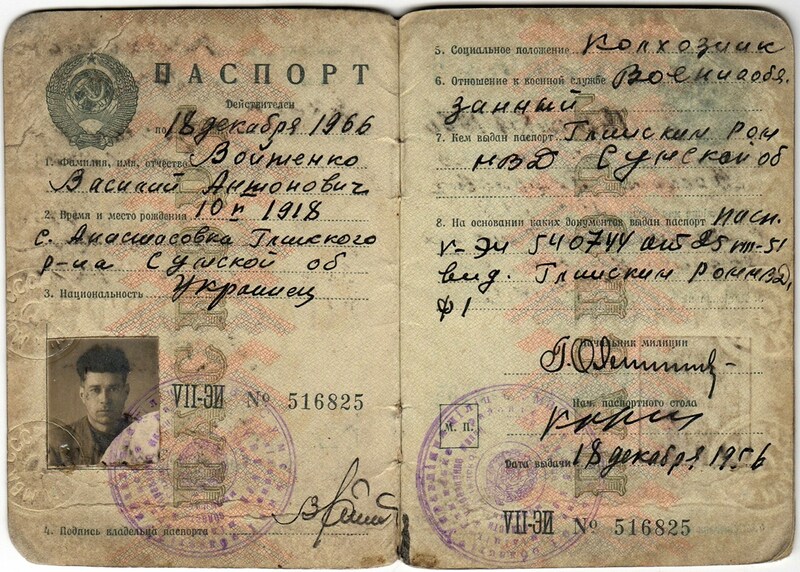 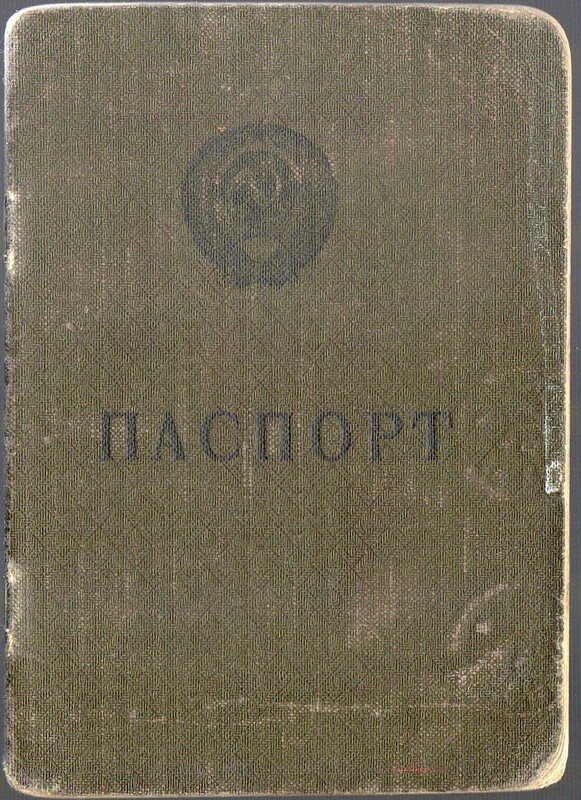 Passport issued on 18 December 1956 in Glinsk, Ukraine (in the Suma region in eastern Ukraine, near the Russian border) to a 38 year old man. 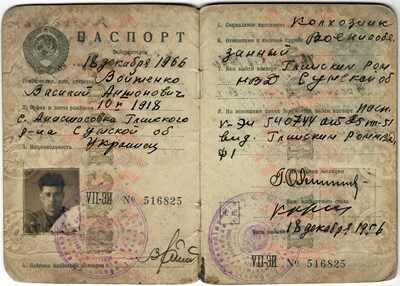 The passport's data is listed both in Russian and Ukrainian. 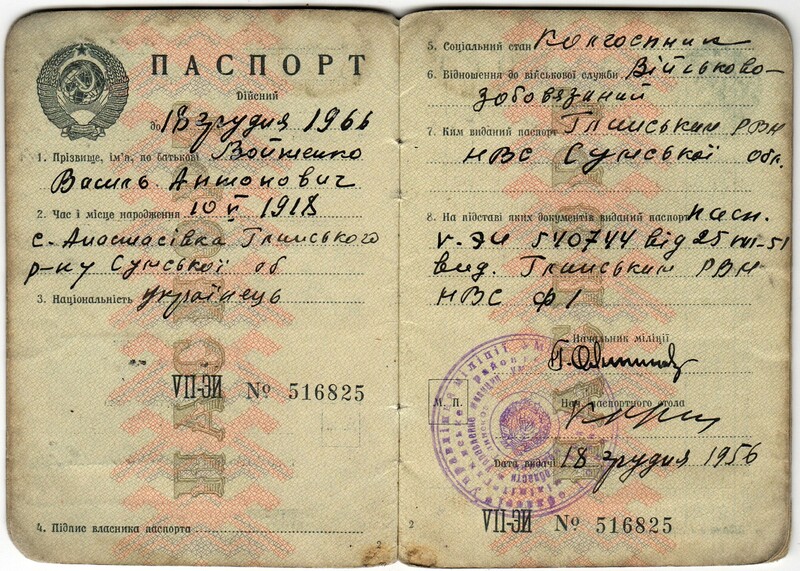 His "social class" is listed as "kolkhoznik". 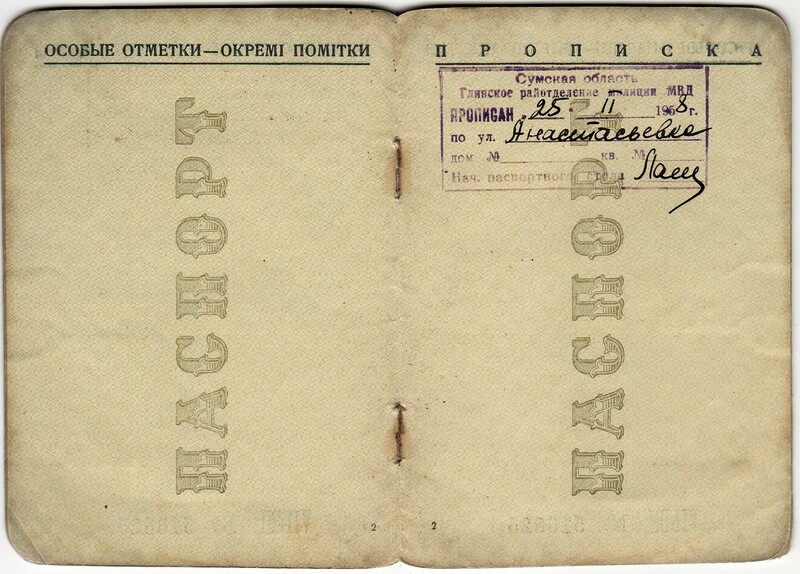 Of the book's 14 pages, there are entries/stamps on 5 of them.